Early last year, I wrote about how I wished that academic discovery services would allow one to search for research of a particular place, ideally using a map. 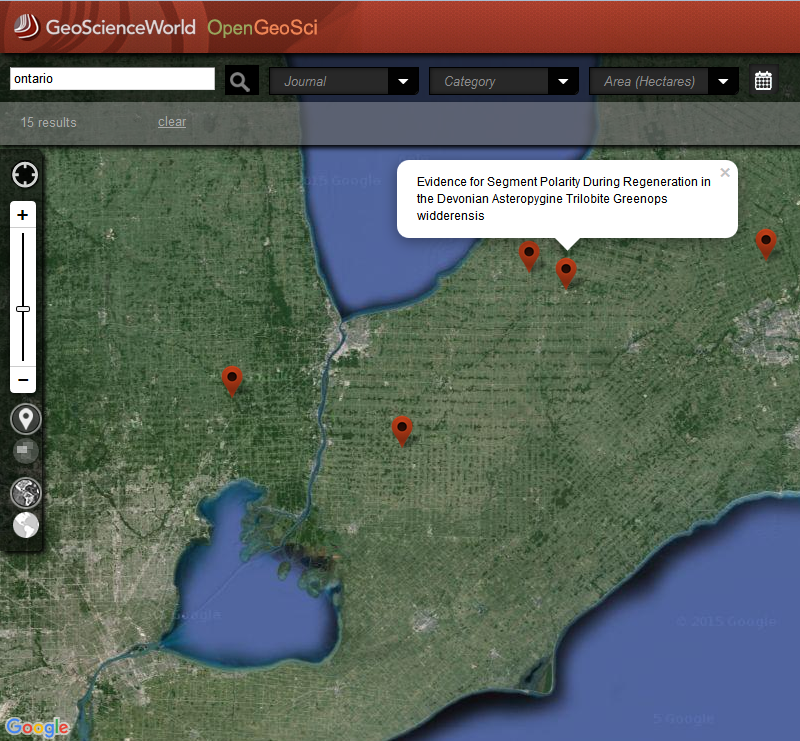 Recently I found an example of a publisher using a map as an interface to a body of research at OpenGeoSci. The data beneath the map-based discovery tool currently consists of approximately 309,000 maps, cross sections, charts, figures, and tables. These all originate form articles in GeoScienceWorld Millennium Collection journals (45 journals from 28 publishers, years 2000 to present). Geolocation coordinates are supplied by metadata in AGI’s GeoRef records. GSW expects to add article data from our new GSW eBooks Collections in 2014 and discussions are under way to add other data sources. The interface needs some work, in my humble opinion. You can’t just drill down to a layer and browse the research. You need to perform a search first and then these results are then mapped. Still, it makes sense that the geographers would make a map interface.